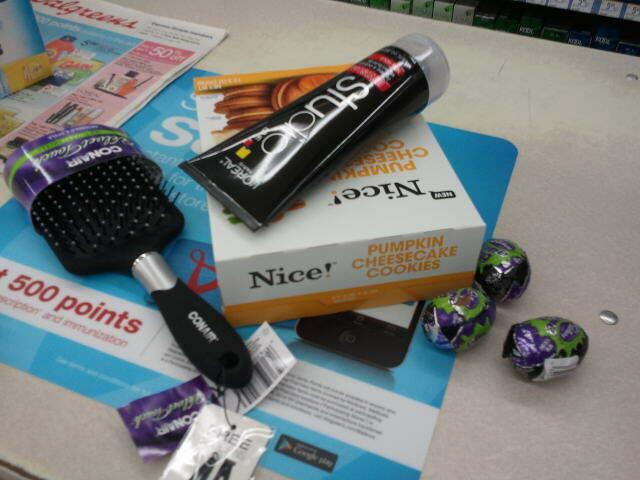 I like shopping at Walgreens because it’s easy to get in and get out. I’d been hearing about the new Balance Rewards program at Walgreens and finally got a chance to check it out when Sinisa told me he needed some hair gel. 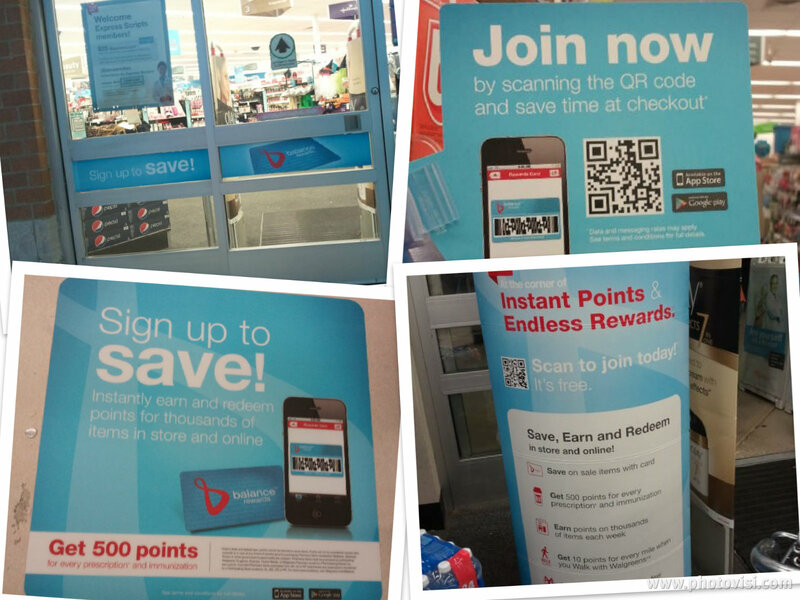 We headed to Walgreens as a family and during the trip to the store we noticed signs everywhere telling us about the new rewards program. Though I saw the signs around the store I thought signing up at the register would be the easiest. Once we got Sinisa’s hair gel we headed to the register to check out. Okay, so I might have added a few things to the cart! How could I pass up Halloween Cadbury eggs and Pumpkin Cheesecake Cookies??? 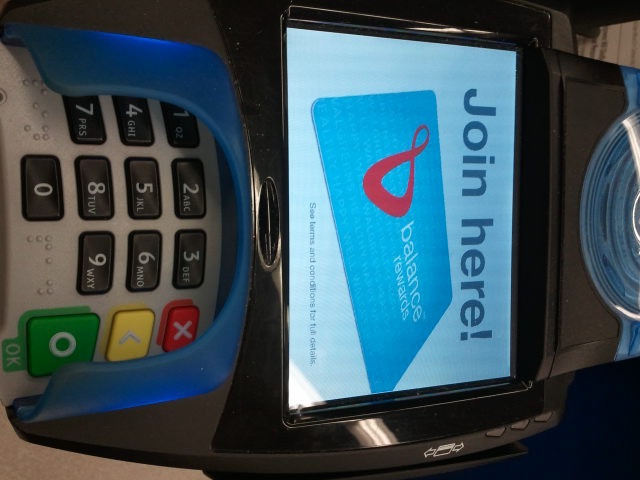 I told the cashier that I wanted to sign up for the Balance Rewards card and I completed the process right there at the register on the machine that you complete debit and credit transactions on. I just had to give some basic information like my phone number and address and verify it. A few minutes later I was all signed up and the cashier handed me my Balance Rewards card and an information pamphlet about the program. On the way home I read more about the program. 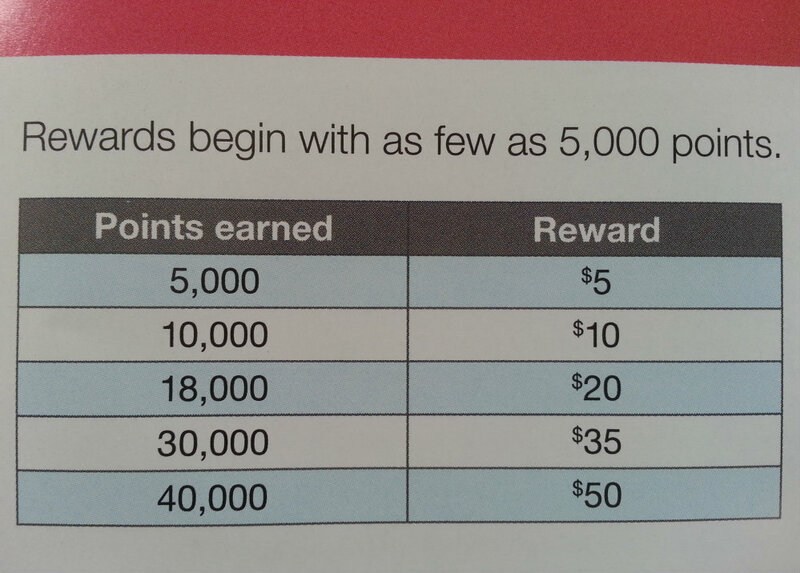 Using Balance Rewards I can earn points on items I use everyday and the points turn into rewards that I can redeem on future purchases in the store and online. 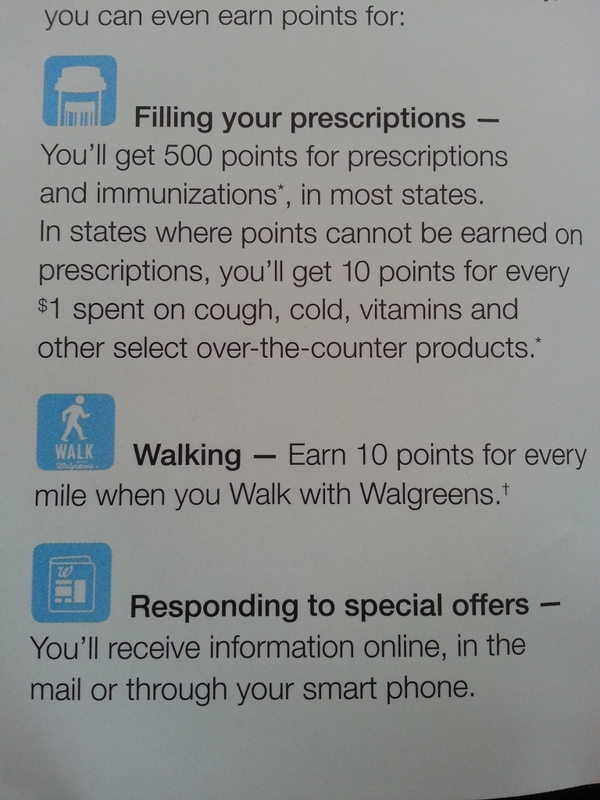 Walgreens also gives points for doing things like filling prescriptions, responding to special offers, and walking. Yes, walking!! That is something I will be checking into for sure. A company that rewards people for doing things they already do anyways? Awesome! This morning as I was sitting in the boys room watching them play trains, I realized that I hadn’t bought the toothpaste I wanted to buy at Walgreens last night. That’s what I get for not making a shopping list! 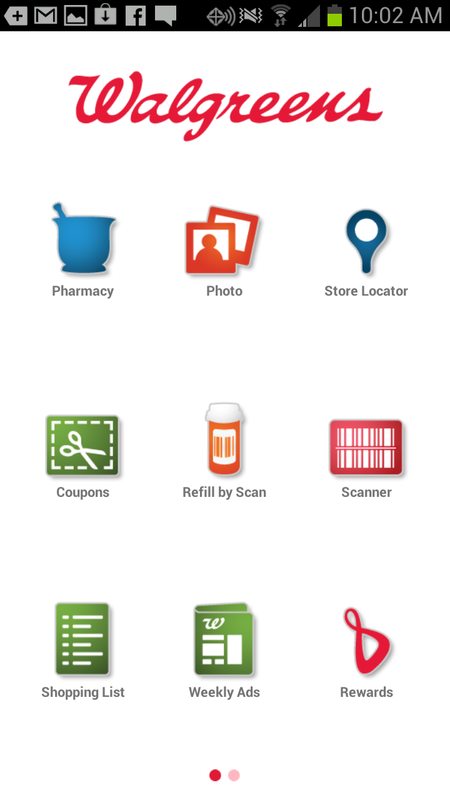 I didn’t have my computer with me but I had my smartphone so I downloaded the Walgreens app on my phone. Since I had just signed up for the Balance Rewards card last night I wasn’t sure if I was going to be able to link up my card with the application but I was able to do so because my card was in the system. I checked the application out and noticed I could view the weekly ad right from my phone and get exclusive mobile coupons. Once I checked out the weekly ad I was ready to shop. Having never shopped from my smartphone before I didn’t know what to expect. I wasn’t sure how easy the process would be. 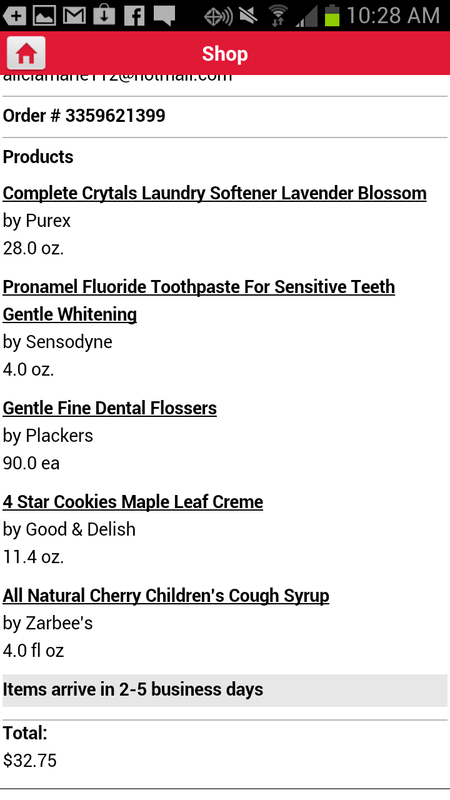 I made sure to add my toothpaste to the cart before I forgot and then searched for and found a few other items that we needed and added them to my online cart as well. I loved that shipping was free with purchases of $25 or more. I think shipping charges are the main reason I do not make many online purchases so having free shipping was a perk. The checkout process went smoothly and overall only took a few minutes to do. It was convenient to buy what I needed from the comfort of my home instead of having to go back out with the kids. 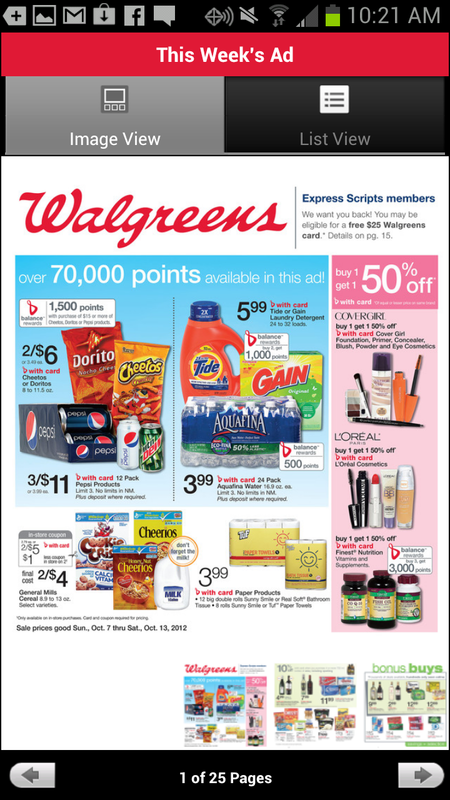 I will definitely be using the Walgreens app, my Balance Rewards card, and their mobile shopping platform in the future! You can see more pictures of my shopping trip and my path to purchase via the smartphone app in my Google+ story.